Wow, Dave you sure as heck love giving long lectures. I do appreciate the reply though. I guess this is where you and I are different... I buy products from the market and you create them using your imagination. I think it might be too late for me to change. I wouldn't even have any clue on how to start. The only thing that anyone in my family has ever done is knife carving. I think I am the first so-called "fisherman" but a very plain and simple one. Yeah it' s pretty thick stuff to begin with, thins a little after part b is added. But I can imagine getting a bad batch. I used to buy it direct and had great results with it. I used a vibrating toothbrush head to vibrate bubbles out of it. I'd do half the mold, then spray release over that, then do the other half with the second pour while the part was still in it. 3m organic vapor cartridges with HEPA pre filters. I use that for pouring and painting, even if outside. Note on putting it in plastic bag.. don't do that immediately. When we breathe through them there is a good bit of moisture buildup. Before storing it in a sealed bag, leave somewhere the moisture can dry out of the mask and the cartridges. If not, there is a mold that can grow on it/ in it that's nearly as bad to breath as the chemicals we're using. You don't want it in your lungs. So yes, store them sealed but give them a couple hours where they can dry out before storing. Also, double dip the white. Looks great!!! ... looks as good as the $180 brands. i've been using 3D printed stencils for quite some time. I simply print a flat pattern like hexagons or scales and use a heat gun to form the stencil around the bait which provides a really exact match with no gaps for overspray. There are different shades of "chartreuse." But I think it's just a fancy name for lime green. XD So 50%/50% yellow and green will give you something to start from. Subbed. Nice videos overall. I wish you had a second camera to catch the action going on in the water. It would be interesting to see you pull in the fish or where your casting etc. Keep it up. Sounds like I’d be better off to buy the pricey paints and just paint them before I went through all that. Appreciate the help though! I’ve had great success with the lureworks sb coat yes it is solvent based and it does smell but it’s no worst than the cooking plastic imho. Paint and hit with a sb clear coat and no need to dip. On a side note you can also do a lot of cool looking effect with sb clear coat and the pearl powders for making soft plastics . Yes 50/50 split for the most part , however you can play with the temps of your color and it will effect the split . Hotter color will overpower the cooler color. The only problem is its hard to be consistent . Above is all good info and let me add my 2ct worth with some colors such as chartreuse or florescence you need to cook the plastic with the colorant added to cold plastic or some color tend to chaulk and not be as vivid as it should be. Me personally I use a thermometer for gauging the temp it guarantees my consistency .With that said you can judge it by looks with time under your belt but , it is best practice to use a thermometer . You can get close by judging but you don’t want to find out the hard way you were 10 degrees under target temp and your baits start doing weird things and you waste your hard earned money and time on baits that end up in the trash . Also welcome to the fold ! There’s a lot of good info here and it will save you a lot of foible in the long run. tight lines! Yeah I looked into it. I still don’t really like how u don’t have a lot of control over the levels. With the dual injectors it’s just 50/50 split. I was looking more at doing most of the body 1 color and just a skim of white for a base. I guess to accomplish this it has to be open pour. I guess as long as I’m careful with the mold and the master quality should still be good. I usually just start with some fluorescent yellow, and slowly add drops of fluorescent green till I get the color that I'm looking for. I don't have a formula for it exactly. I'm curious to see if some else does as well. Triple injector too, spendy though! I built it myself, This one is a Corian base. Just 1/2" PVC pipe and 8mm x 22mm skateboard bearings. The shaft is glued into the base but the T and 90 are left unglued so you can turn it to any position while you paint. The T has been cut off on two ends so the bearings seat into the T Also heated the t just enough to get bearings to pop into it. The Excell brand knife holder has to be sanded just a little on the knurling so it slides into bearings. Only took a couple of hours to make them. I like the way it works. I use a paper clip bent straight with a small kink to keep the weight from sliding off,then bend the top in a hook shape to hang in my toaster oven. I prep a bunch with the clips, hold them by the top hook,then heat and dip in my powder paint and hang in oven. Have 100% success with no issues. I do the same process with all wire through lead baits. Paper clips are about $2 a box and I use them for multiple shop tasks including cleaning out hook eyes prior to baking. Thanks mark I’ll do some digging! You know I don't really see the point in any of this. I wish some of us would have gotten the bright idea to try and build something to help us fish at night. Not all of us have the best memories of fishing at night, right? 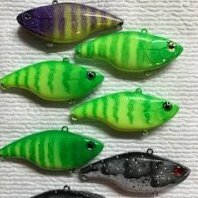 Would you happen to have any idea on some glow in the dark fishing lures? Or even any comments on the product? I read up about these "glow in the dark fishing lures" at http://huntingfishingplus.com/best-glow-in-the-dark-fishing-lures/. There I got the explanation I needed to fish at night using a glow in the dark lure. I did know about these lures for a while now. I got the idea from my neighbour across the street. Fishings seems to be the only thing he finds interesting. He would give me long lectures on all the fishing tips needed. He is using a Shrimp Sabiki by JSHANMEI. He even tried to teach me how to make one. 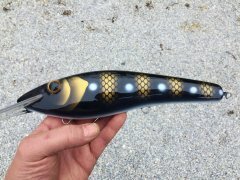 If you're into this sort of thing there is a video guide on how to create this lure https://www.youtube.com/watch?v=SXmsdAODXYE. Quite frankly, it blew me away. It was like I thought I knew all there is to know about fishing and then I get put to the test and bam, turns out I don't know as much as I thought I did. I didn't even know that with different lure colours you get different results for fishing. I'm definitely going to try out everything I read up and try it out this weekend. 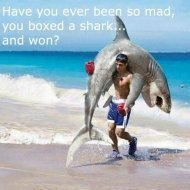 If anything I can come back and keep you updated. Hope you found something interesting in what I had to say. If I was you I would more than likely go for the john boa﻿t﻿. Then again it does really depend on your skill level.